Freshly is a gourmet food subscription service that is designed to help people eat healthier without taking the time to prepare the meal themselves. They send out 4, 6, 9, or 12 chef-made, fresh, never frozen, prepared meals each week. Freshly delivers meals that are all natural and gluten-free. Each meal is made with no refined sugars, high-quality protein, and nutrient-dense veggies. This review is for the 6-meal plan, which cost $59.99 per week, including shipping. Freshly updates their menu weekly with dozens of options for you to choose from. All meals are fresh, never frozen and peanut and gluten-free. Each single-serving meal is fully prepared and ready to eat in around 3 minutes. Meals are delivered to your door in a recyclable refrigerated box with ice packs. The Cost: Freshly meal plans cost $49.99 (4 meals), $59.99 (6 meals), $89.99 (9 meals) or $107.99 (12 meals) per week and shipping is included. LIMITED TIME DEAL: Use this link or coupon code LAUNCH15 to save $60 off your first four weeks of meals from Freshly! This will save $15 off each box! The Products: Healthy single-serving meals that are fully prepared and ready to eat in minutes. Exciting news – Freshly is now shipping countrywide! They’ve also introduced a bunch of really appetizing new menu items. This week’s shipment came right on time! If you’re anything like me, you’re probably already wavering on your New Year resolution to cook more and eat out less. Freshly is win-win! You save time and hassle but still get delicious, fresh and healthy meals. For this week’s Freshly delivery, I’m excited to try the new menu items. I received chicken, beef, pork, fish, turkey, and vegetarian Italian, Asian and Lebanese inspired dishes. The menu lists the entrée name and numbers of the 6 meals I choose. There was a last minute swap so I received the Turkey Meatballs & Linguine with Spicy Arrabbiata instead of the Sausage & Peppers with Cauliflower rice. This yummy dish features meatballs made with eggs, cheese, Italian spices, and oatmeal served on top of brown-rice linguine with spicy arrabbiata sauce and shredded parmesan cheese. This spicy dish is less than 500 calories, gluten and soy free and high in protein. Instructions for microwaving the entrée in the tray call for 2 minutes and 30 seconds and I found these heating instructions to be accurate. Two things really surprised me about this dish. The first is that it’s under 500 calories which seems almost impossible for a pasta dish with 4 large meatballs. It’s a very generous and filling portion. The second is the pasta. It’s gluten-free brown-rice linguine and is honestly indistinguishable for regular linguine in taste. I’m still blown away! My favorite part of this dish was the spicy arrabbiata sauce and fire-roasted tomatoes. It’s full of flavor with just the right amount of spice. I really enjoyed this meal. This delicious Tuscan-inspired entrée contains chicken breast on top of Great Northern beans with kale, tomatoes, bacon and mixed vegetables. This dish is gluten, dairy and soy free and low in calories. It’s also low in carbs and high in protein making it a keto-friendly option. Instructions for microwaving the entrée in the tray call for 3 minutes and 15 seconds and I found these heating instructions to be accurate. Freshly consistently makes excellent chicken. The chicken is always juicy and flavorful which I personally find it difficult to do with chicken breast. This Livorno chicken was no exception. It’s great. But, the real highlight of this dish is the beans. Great Northern beans are my favorite, add the thick cut and smoky bacon and I couldn’t get enough! The kale was fresh and not overcooked and the fire-roasted tomatoes add an extra burst of flavor. This was by far my favorite dish! This filling dish contains salmon cakes made with potatoes, Greek yogurt, eggs and Asian flavors topped with a light teriyaki sauce and a side of green beans. This dish is gluten-free, less than 500 calories and contains healthy omega-3s and fiber. Instructions for microwaving the entrée in the tray call for 2 minutes and 30 seconds and I found these heating instructions to be accurate. I really enjoyed the salmon cakes! Unlike other cakes I’ve tried that are full of breading and contain very little fish, these cakes are choke full of salmon and very tasty. The teriyaki sauce added just a touch of sweetness to the cakes and brown rice. The green beans, while cooked well, were bland – lacking the sesame-garlic oil and chili flakes. This savory dish features shredded pork in a rosemary and thyme gravy, roasted carrots and kale cooked with bacon and fire-roasted tomatoes. This dish is low in calories, high in fiber, paleo, and keto-friendly. It’s also gluten, dairy and soy free. Instructions for microwaving the entrée in the tray call for 3 minutes and 15 seconds and I found these heating instructions to be accurate. I loved all the fresh vegetables in this dish. The carrots were cooked perfectly and delicious. The kale was rich, earthy and not overdone. The roasted tomatoes were so fresh and favorable. I didn’t too much care for the pork – not for the taste but rather the texture. I would have liked it better if it was pulled pork with thicker pieces of meat. The pork is so tender that shredding the meat almost gives it the texture of chunky tuna. Other than that, the dish was very flavorful and perfectly cooked. This fragrant dish contains seasoned beef meatballs made with eggs, oat bran and feta on top of sautéed spinach, chickpeas, tomatoes, raisins and almonds topped with tahini sauce. This dish is gluten and soy free and high in protein. Instructions for microwaving the entrée in the tray call for 2 minutes and 30 seconds and I found that I needed to add another 30-45 seconds to fully heat the meatballs. The mint, cardamom and cumin spices in this dish smell amazing! I mixed in the tahini with the sautéed spinach and chickpeas and it tasted great that way. However, I found the meatballs were not very flavorful on their own. It would have been nice if the tahini came in a container on the side so that I could pour it on top of the meatballs. When mixed all together, the flavors came together nicely so, I enjoyed the meal as a whole. This classic Italian dish contains roasted and pureed butternut squash on top of a creamy risotto made with parmesan cheese, mushrooms and onions sprinkled with roasted pumpkin seeds. This vegetarian dish is gluten and soy free and less than 500 calories. Instructions for microwaving the entrée in the tray call for 2 minutes and 30 seconds and I found these heating instructions to be accurate. I only picked a vegetarian dish to have a well-rounded selection for this review so, I definitely didn’t expect it to be one of my favorite dishes this week. This risotto is amazing! It’s so creamy and comforting. In this dish, the various textures worked in perfect balance. The softness of the rice, the slightly firm roasted butternut squash and the almost crunchy pumpkin seeds blended together perfectly. This is comfort food at its finest. Yum! The Verdict: I’m a big fan of Freshly meals. They are consistently fresh, well-portioned, flavorful and healthy without sacrificing taste. My favorite dishes this week was the Chicken Livorno (a must try!) and the Butternut Squash Risotto. I’d also buy the spicy arrabbiata sauce on the Turkey Meatballs & Linguine by the gallon if I could. It was so good! I followed all the microwaving instructions and with the exception of one dish, I found them to be spot on. I can’t wait to try other Freshly meals on the new menu. If you want the convenience of having fresh, already prepared meals that are delicious, gluten-free and ready in minutes, you should give definitely give Freshly a try! Can I get this box if I sign up today? The Freshly menu changes weekly, so you’ll have an awesome variety of meals to choose from. Value Breakdown: This box costs $59.99 including shipping which is $9.99 per meal. Freshly meals are high quality, the dishes are made with healthy and fresh ingredients and Freshly offers free at-home delivery with no prep work or cooking. I think this is an excellent value. Check out all of my Freshly reviews to learn more about this subscription. 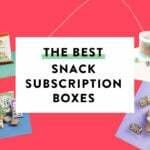 Check out all of our Food Subscription Boxes in the Subscription Box List. Rate, review, and follow this subscription on the Freshly profile page. What do you think of this Freshly box? I used to get this for a few months. I would pause every few weeks. It used to be $59.99. In the new year they raised the price to $64.95. When I contacted customer service, they said it was new sales tax. I canceled. The value is just not there for me. The only dish I really loved was the risotto one. Everything else was just OK. They used to have shrimp scampi that was delicious. They don’t anymore. Don’t like Korean shrimp one. I never freezed my meals. I did keep it in my fridge up to 2 weeks and it wasn’t spoiled. Customer service is very responsive. Yes – I saw the note about the sales tax but I thought it was only a few state impacted. And, yes the Risottos are delicious! Ok, this is an odd one to me. What do y’all think? So yesterday I got an email saying they couldn’t ship one of my meals, so they just replaced it with something else. In addition, they said if you have food allergies, make sure to check the label. They put a $10 credit in the account for the inconvenience. While I don’t have anything against the $10, does this seem off to you guys? Especially sending food to someone who might have an allergy and saying hey, if you can’t eat it, sorry and make sure you don’t get exposed? I let them know about that and that I would have liked to be able to pick a different meal. I’m guessing they didn’t make enough of that one meal so when they ran out, they through in a chili? I don’t normally eat chili but I tried theirs when it was colder and nope. Still not a fan of it. That’s why it hasn’t been in my last three orders or so. Maybe they just didn’t have time to get my input. I do think that’s odd. They refunded the $10 which is the average cost of the meals (depending on the how many meals are ordered) so, that’s great. But, I agree, it would have been nice to pick your replacement. If meal availability will be an issue, maybe they can let you choose a few backups in the chance that a meal may not be available. I tried Freshly once and canceled it. I found their meals inedible. They were either bland or too salty. I ended up throwing most of the food out. I picked mostly veggie and a couple of turkey dishes. They really don’t have a lot of variety so I can see how it could get old. Bummer! I hate bland food but I’ve found all my meals to be very flavorable – surprisingly so since I’m usually the person always adding salt or some type of condiment to my food. I’ve been wanting to try this. Can you freeze these? I live alone and am not sure I can eat 4 or 6 meals before they go bad. How long can they stay in refrigerator before they go off. ? I don’t think they can stay in the fridge longer than 3-5 days. I do freeze mine. I had seen where they replied to someone on FB with cooking instructions. Basically I freeze most of the meals when they come in and then I heat them in the microwave for twice as long as it says. If it’s 3 min 15 sec, it gets 6 min 30 secs. It seems to work well. Hope that helps! Yes, Freshly recommends you eat them in a few days or freeze them. I have been a big fan of Freshly for several months now, but they basically went dormant for a month it seemed like. There were no new dishes for weeks. I even reached out to them about that and another issue (which they addressed) and the response was “we add new items all the time”. That was definitely not the case. I later heard on their FB page that they weren’t adding anything because they were working on a new kitchen or a kitchen renovation? Not sure exactly, but I didn’t get that answer in the c.s. email. C.S. is definitely responsive though so that’s a plus :). They just added some bibimbap, after weeks of not adding anything, which, unfortunately is another dish I won’t eat. I would love to see more Mexican-inspired meals on there that aren’t drowning in cilantro (I’m looking at you, Southwest bowl). So I find myself wondering if I want to keep eating the same things week after week or if I want to try to find another option. I really wish Freshly would change up their menu more and add more comfort foods or familiar foods. I loved the review though and the spicy meatballs is my favorite! I do add a little cheese to mine LOL but it’s so good. I am looking forward to when they bring the cod cakes back as those were the bomb. I agree. Even after 3 weeks I can see I will get bored quickly if they don’t add new dishes. I saw they had breakfasts in the past which I also would love. I agree to an extent because the breakfast items went away. I do like the new menu items though. And, the cod cakes were delicious! Also, I know they opened up a new kitchen to be able to expand delivery across the country. Previously, not everyone who wanted to were able to receive Freshly. Now that’s done – hopefully we can start seeing more new and exciting updates from Freshly. That is good that more people will be able to order, but I wish they had sent an email or something letting us know what the hold-up was. Even after reaching out to them, I got a response of no, we do add new items. It wasn’t until I went to FB that another customer told me about the new kitchen. I hope they can get their kinks worked out. Ran into another issue this week. Trying to stay with them, but starting to feel really frustrated. That’s my biggest complaint about Freshly. If they offered new meals more often we would still be ordering. My family got tired of eating the same things. The chicken is always juicy and delicious! My son’s favorite is the Chicken Livorno. Every risotto is outstanding! Please Freshly, add and rotate your meals. I don’t want to cook every night. The Chicken Livorno is soooooo good! My favorite too. I’ve been getting Freshly for 3 weeks now. It’s so simple to heat and eat and all of the meals have been delicious. I’ve had that same experience Pam. What meals are you looking forward to trying? I feel like it’s getting repetitive already. I love the risotto, spaghetti squash with meatballs, Greek meatballs the best, off the top of my head. Looking forward to trying the bim bop. I wish they’d bring back breakfast. Which are your favorites? I just started Freshly and I am LOVING it! I always buy groceries with good inetentions to cook and end up wasting most of it because I get too tired and just end up getting take-out. I feel like Freshly is the perfect mid-point between home cooking and eating out. I’m a fan! Same! I’m a fan too.